Teams from 2 Royal Gurkha Rifles have been deployed on a Short Term Training Team to Uganda since January 2018. 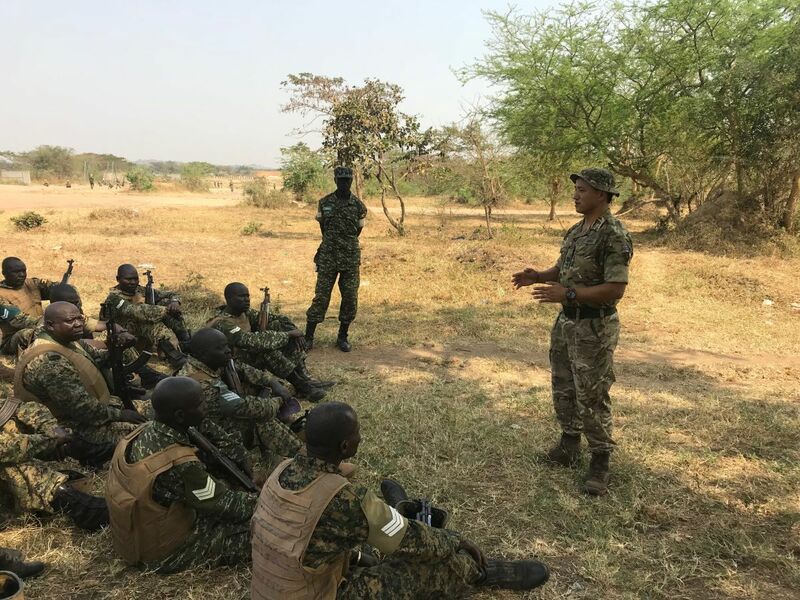 The team are part of a multi-national effort to deliver Pre-Deployment Training to the Ugandan Peoples Defence Force (UPDF) prior to their deployment to Somalia as part of the African Union Mission in Somalia (AMISOM) mission to the country. The African Union Mission in Somalia (AMISOM) is an active, regional peacekeeping mission operated by the African Union with the approval of the United Nations. It was created by the African Union’s Peace and Security Council. The Officers and Soldiers of the battalion have been delivering essential Instructional, basic skills, tactical and staff training to the Brigade. The training will culminate with a Mission Rehearsal Exercise over the coming weeks so come back to this website to see more from this story.